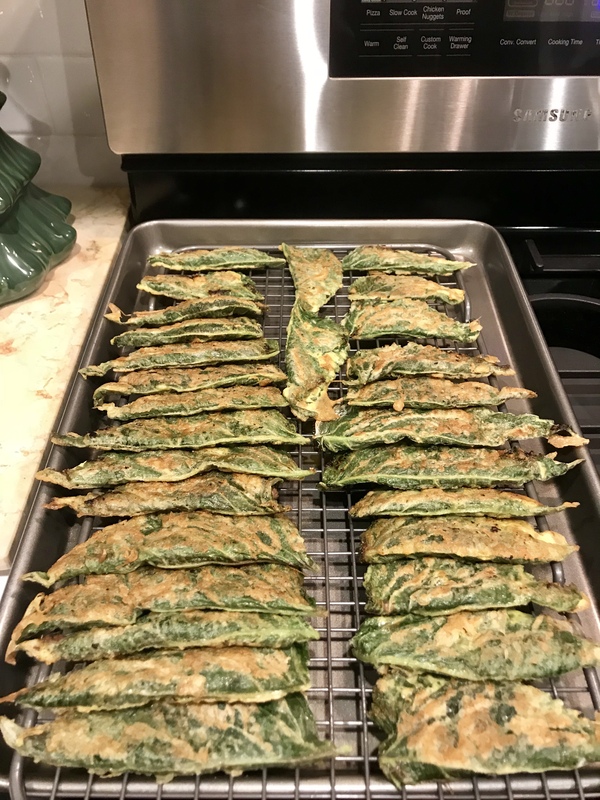 Today’s recipe, Kkaennip-jeon (pan-fried perilla leaves with fillings), is a fast, fun, and light savory side dish. If you like perilla leaves (kkaennip: 깻잎), you will love this dish: the egg batter makes the lightly minty leaves a little crispy, and the juicy, savory, beef patty fillings go well with them too. 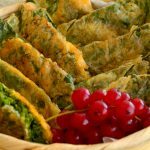 This recipe is a type of jeon, or pancake, of which there are many in Korean food. If you can’t get perilla leaves, kale works well for this recipe. Just be sure to cut the leaves into something closer to kkaennip size, about 2½ to 3 inches long from the leafy end of the leaves. Even if you love meat, you should only use a thin layer of beef in these jeon, otherwise they will be too thick and will take too long to cook. When it’s thin, it cooks fast and the egg gets golden brown, never overcooked and burnt. They look gorgeous on the table! Combine beef, garlic, green onion, and onion in a bowl. Add soy sauce, sugar (if you use), ground black pepper, and sesame oil. Mix it by hand until it’s well incorporated and turns into a sticky lump. Cover and keep in the fridge until we’re ready to use it. Strain the beaten egg through a mesh strainer over a bowl. Let it sit on the counter until we’re ready to use it. Put flour on a cutting board and one by one, press both sides of each leaf into the flour to coat. Take the meat out of the refrigerator. Unwrap and put about 1 tablespoon meat mixture into the inside of a leaf, thinly covering one half of it. Fold the leaf over to make a packet. Repeat with the rest of the perilla leaves and the meat mixture. Heat up a large non-stick skillet with some vegetable oil over medium heat. Take a packet and dip into the egg so it’s totally covered, and place it onto the skillet. Add more packets until the skillet is full, but the packets aren’t crowding each other. Cook for a few minutes until lightly crisp, about 2 minutes. Flip and cook another one or two minutes until the other side is lightly crisp. Add more oil if necessary. Flip and cook another minute or two minutes until both sides are crisp. Remove from the heat. If you need to cook in batches, clean the pan with a paper towel before re-oiling and cooking the next batch. Make the dipping sauce by combining all the dipping sauce ingredients and mixing well. You can garnish with a few bits of chopped green onion. Serve together. To eat, dip a pan-fried perilla leaf into the sauce and eat. Posted on Tuesday, August 15th, 2017 at 9:06 pm. Posted September 17th, 2018 at 4:04 pm | Log in to reply. Amazon has these seeds.. Looks really scrumptious.. I batter and fry poke leaves.. Until now I never thought to fill them.. Thanks so much for the recipe.. Can’t wait to try it.. I have unlimited green perilla but have trouble raising enough of the red I treat them both the same.. Any suggestions.? Posted December 29th, 2017 at 5:49 pm | Log in to reply. Posted November 20th, 2017 at 3:45 am | Log in to reply. Posted October 13th, 2017 at 1:01 am | Log in to reply. First time making this but my friend who has been to Korea and eaten kkaennip-jeon there said it was just as good. Very easy to make and so delicious! Posted October 19th, 2017 at 10:36 pm | Log in to reply. Wow it looks amazing! Happy to hear you and your friend enjoyed them! Posted August 24th, 2017 at 2:44 am | Log in to reply. I bought perilla leaves seeds on eBay. Received 100 seeds for less than $3. I believe 90% sprouted because I have loads of perilla leaves. Great recipe. Will also make your kimchi. Posted August 21st, 2017 at 5:46 pm | Log in to reply. These are awesome! My boyfriend and I decided to have a “jeon party” just for fun, and fried up lots of different kinds of pancakes to serve with beer. I made these for the first time and they were great! The contrast between the crispy leaf and the juicy meet filling is delicious and we hadn’t had anything like it before. Thank you Maangchi!!! Posted August 23rd, 2017 at 11:28 am | Log in to reply. Posted August 17th, 2017 at 10:23 am | Log in to reply. I would like to grow the kkaennip in my garden, but i don’t know where to get the seeds here in Indonesia..
Posted August 23rd, 2017 at 11:15 am | Log in to reply. Thank you for sharing your tofu filling idea! I hope my vegetarian readers see these tips! Getting the seeds from Korea is a good idea. They sell them everywhere there, but you can also ask the Korean grocery store in your area if you can buy seeds. Posted August 15th, 2017 at 9:50 pm | Log in to reply. If there is no Korean shop nearby, Perilla is also called Shiso in Japanese. I find it as Shiso here in Norway, though it’s usually a type with red color in the leaves, not as bright green. Posted August 16th, 2017 at 2:56 am | Log in to reply. 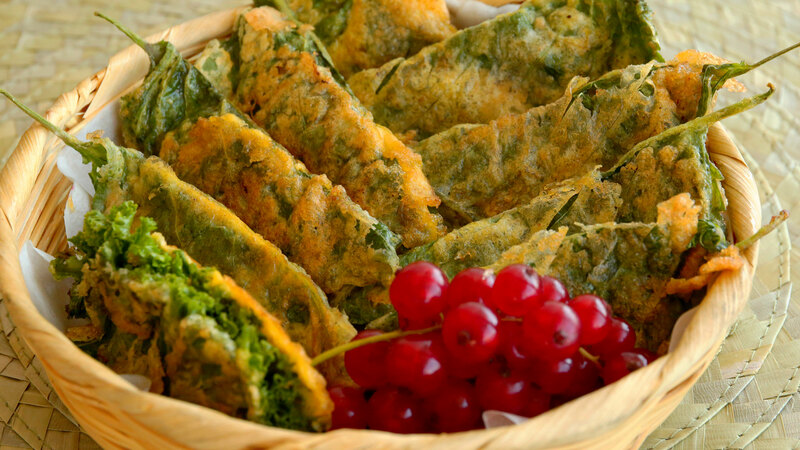 The color isn’t an issue – there’s so-called “Autumn leave Perilla” available in Korea. But Japanes Shiso tastes different: more pungent and less anise. 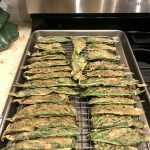 This recipe was originally posted on August 15, 2017 at 9:06 pm by Maangchi. The video was watched 457,949 times on YouTube & has 10,781 likes!